When a storm passes through and the sky clears, it really clears. We had the usual afternoon thunderstorms, pretty heavy on Saturday. Usually it’s quite dry, but not this year. Since the canyon is a large black abyss at night without any moon, when the Milky Way rises it’s the sensation of being out in space. The trees and rock formations on the Bright Angel Point make for some interesting shapes. I experimented more with close-ups of plants, which I’ll post later. 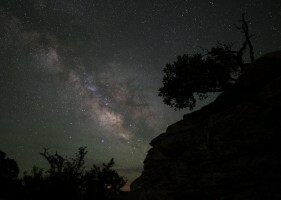 The GC Star Party, with a tremendous view. 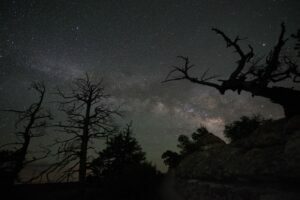 Earlier in the evening the Grand Canyon Star Party got off to a start for the first of eight nights of stargazing. There was a lecture in the Grand Lodge auditorium and several telescopes were set up on the main veranda. The star party happens in June around the full moon, a much larger one runs at the South Rim the same dates. 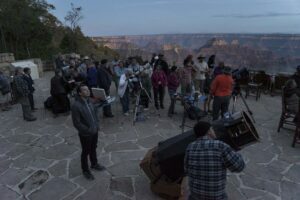 The North Rim party is organized by the Saguaro Astronomy Club from Phoenix and the South Rim by the Tucson Astronomical Society. Dean Ketelson, mentioned in yesterday’s post, was a founder of the South Rim party. 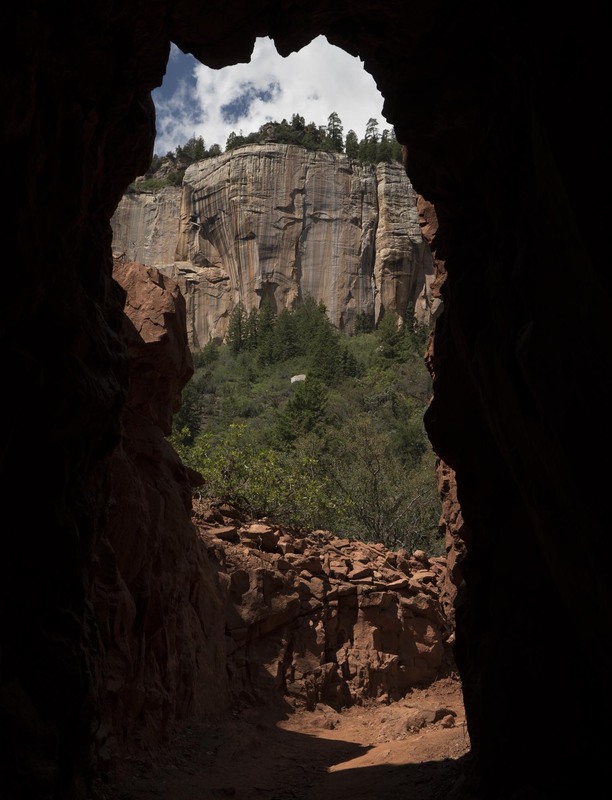 In the morning I hiked a short way down the North Kaibab trail, which leads all the way to Phantom Ranch at the Colorado River. Many hikers start or end on this trail if they are going “rim to rim” or prefer this route to the more crowded South Rim trails. I was planning neither. I hiked about 1.7 miles to the Supai Tunnel, which is a water stop. Along the way I took notes about the best views and what would make good shots at night. Lots of people were doing day hikes and since mules caravans use the trail, one had to dodge mule poop. 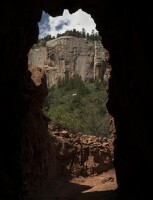 It was great to see the canyon from another perspective, even though I didn’t go very far.